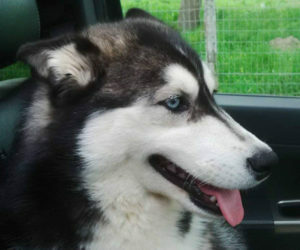 Roxy the Husky reunited with the Jones family twice in just a few weeks. With the help of the Panorama Vet, the Grassy Park SPCA and a couple of good Samaritans, Roxy returned home safely. Thanks to her Identipet microchip, which was scanned and her family identified and contacted. 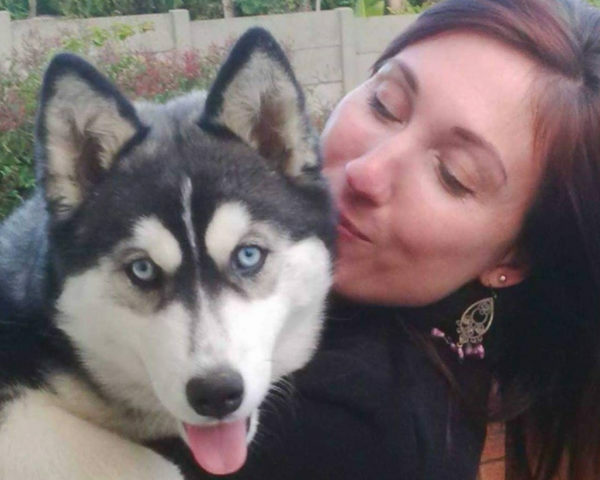 Huskies are well known for being great with children, so when the Joneses brought Roxy home 3 years ago, she fast became an inseparable member of the family. Of the two huskies that the Joneses now own, Roxy was always the escape artist, having developed a fear of thunder and loud noises after a severe thunderstorm. “She was always jumping up trying to get over the wall and we often had to chase her around the neighbourhood and catch her when she got out of the gate” said Lynette Jones. When Roxy went missing for the first time, the family was unaware that she’d managed to escape. “We didn’t even know she was missing until I received the call from the vet” said Lynette. Luckily, Roxy returned home safely the same day when she was found and dropped off at the Panorama vet. Roxy’s Identipet microchip was scanned and Lynette was contacted to come and collect her. A few weeks later though, Roxy managed to escape again. This time she was missing for 2 days. “The kids were really upset and we were afraid that this time we might not find her” said Lynette. Fortunately, Roxy was again picked up by a member of the public and dropped off at the Panorama vet. When the vet was unable to make contact with the Joneses, Roxy was sent to the Grassy Park SPCA. Her Identipet microchip was scanned and the Joneses contacted. Roxy again returned home safe and sound. Since then, the Joneses have put up additional fencing around their property and Roxy has not managed to escape again. With the upcoming Diwali and Guy Fawkes celebrations, not to mention the severe thunderstorms that we’ve had of late, it is imperative that you have your animals microchipped. 1 in 3 pets go missing during their lifetime, but with a microchip in place, the chances of being reunited their families is greatly enhanced.